Breakfast for many people consists of a hot cup of coffee as they run out the door to tackle their day. Here are a few recipes you can add to your cup of coffee. Simply make them in advance and quickly microwave before you head out the door. Many of these meals are easy to eat on-the-go if you don’t have those few extra minutes in the morning to have a sit down meal. Who doesn’t love cookies? How about cookies for breakfast? With these oatmeal and almond butter cookies I found on nicolewilkins.com you’ll stay on track while rushing out the door. Preheat oven to 350 degrees Fahrenheit. Mix all ingredients. Line baking sheet with foil or parchment paper. Spoon 12 drops of batter onto cookie sheet. Bake for 10 minutes. Let cool on cooling rack. Enjoy! Muffins are a breakfast staple. However, most muffins are dessert mascaraing as a morning meal. 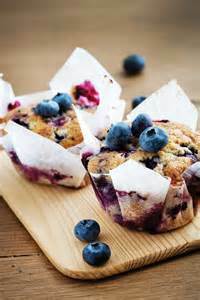 But don’t worry, with this great muffin recipe from Oxygen magazine you’ll stay on track while enjoying a healthy treat. Prebaking eggs is a great way to have a hearty, healthy meal in the morning without all the dishes. Simply bake the night before and microwave a portion in the morning. Preheat oven to 350 degrees Fahrenheit. Mix eggs, egg whites, and cottage cheese. Spray 9 inch baking dish with olive oil. Pour egg mixture into pan. Add veggies of your choice. Bake for 20 minutes or until firm. Here is another great recipe from nicolewilkins.com. I love, love, love this recipe. I typically eat this for a post-workout meal, but it would also be a great option for eating an “on-the-go” breakfast. I simply toss a slice in a Tupperware and eat it with my fingers after my workout. I love sweet egg whites. Preheat oven to 300 degrees F. Mix all ingredients. Pour in small bread pan or 9 inch cake pan. Spray pan with olive oil or coconut oil spray. Bake for 30-40 minutes or until firm in the center. This is my go-to protein pancake recipe. I eat this recipe at least three times a week. The sweet potatoes give these pancakes a perfect consistency. Many protein pancakes taste like eggs whites, these taste like bonafide pancakes. Yum! Mix all ingredients. Heat skilled to medium. Pour batter into skillet and cook. Serve with ½ sliced apple. Enjoy! Waffles are a great breakfast option because you can smother peanut butter on them. And I love anything I can put peanut butter on. Make a double batch the night before, store them in the fridge, and then heat them in your toaster when you are ready to enjoy them. You can quickly make a peanut butter and banana sandwich with these waffles and eat them on-the-go! Heat waffle iron. Mix all ingredients. Spray iron with coconut oil or olive oil. Pour batter into iron and cook. Waffles can be stored in the fridge and quickly reheated in the toaster. Top with almond or peanut butter and enjoy on the go! Eat breakfast for dinner and everyone thinks it is fun. Eat lunch for breakfast and everyone looks at you like you’re crazy. It’s ok to eat chicken for breakfast! Restaurants pair “chicken and waffles” or “steak and eggs” together all the time. It’s ok to drop and “waffle” and the “egg” and just eat a hunk of protein. If I’m rushing out the door and I don’t have much time to spare I’ll grab a cooked chicken breast from the fridge and eat it with my fingers as I drive. Never leave home without a meal is the first rule of the STF Fit Club! Anything that is already cooked in your fridge… just scarf it down and get your macros in!